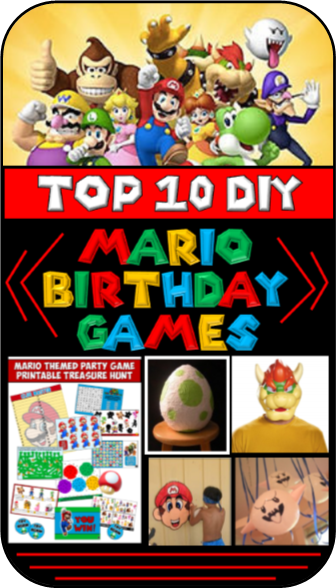 Our top 10 Mario Birthday Party Games has the perfect DIY activities to pull this theme off without a hitch. 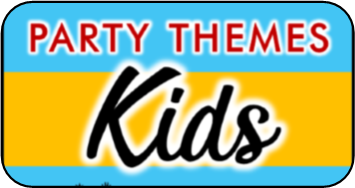 I chose a variety of games so you can be sure to find something for kids ages 4-16. 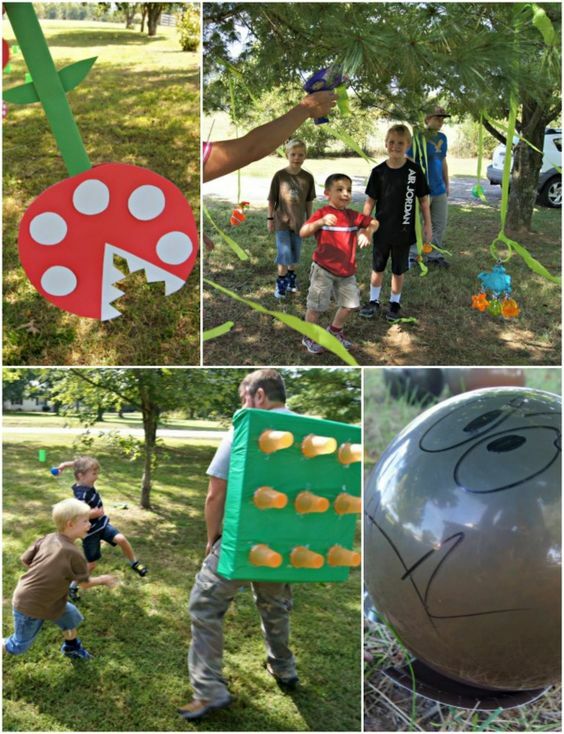 I included games that can be played indoors and outdoors. I chose activities that range from calm to energy blasters. You are sure to find something that fits the tone of your Birthday audience. Simply choose your favorite 3-4 games and you'll be set. 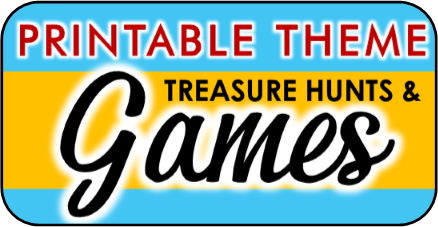 I can't take all the credit for this awesome list of theme games - I searched the web far and wide to find the coolest games for this theme and I added a few of my own. I linked to any blogger that contributed to this list so this page has a ton of resources for your party! Gold Coin Tap (hanging gold paper plates or cut circles from trees and having children have to tap each one before moving to the next obstacle. Tunnel Crawl Through Instead of jumping over tunnels you can create a tunnel using green pool noodles, tires, or a play tunnel that kids will have to actually crawl through to get to the next obstacle. Yoshi Ride Just like a stick horse, but instead replace the horse head with a Yoshi head and have children ride Yoshi through cones or around Piranha Plants. I won't include all the details of this game here because the the site does an excellent job of doing that for you - just click on the pic to get all the details on how to create this awesome game yourself. I created this printable Mario themed treasure hunt to be played anywhere! 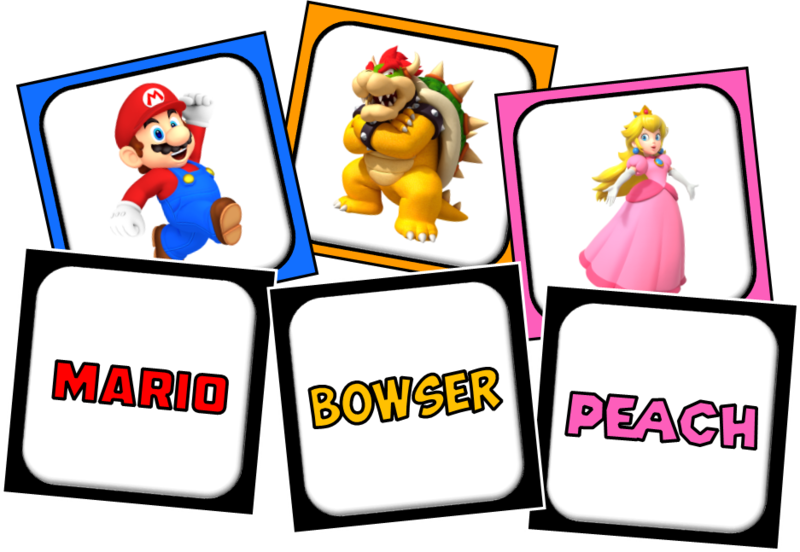 Players solve clues that involve mario themed games, puzzles, and brain teasers. The answer to one clue will lead to the next until all 8 clues are solved and the last leads to the treasure! You decide what location the clues are hidden in and you decide the treasure - it could be goodie bags or even the cake. See clue samples, game rules, and download details now. In this game players team up with a partner and one player must voice guide the other player, who is blindfolded, through an obstacle course of boos (hanging white balloons with boo faces). Once one partner is through the course, the other partner puts on the blindfold and gets a turn to be the one guided through. To score start the team off with 20 points and take away a point for every boo the partners touch going through the course. The team with the highest score at the end of both trips wins. ALTERNATIVE: Instead of trying to avoid the ghost, blindfolded players are wearing a hat with a push pin sticking out from the crown. Their partner must guide them to pop as many boo's as they can in one minute. Use poster boards to create five toad face cut-out red, blue, yellow, green, and pink. Place one in each corner of the playing area. Put on some music and have players dance about - BUT when the music stops everyone must choose quickly and go stand by one of the five toads. The host will then randomly call out a color, or draw the color from a bag and all players on that colored toad are out. Once there are four or less players then only one player per color is allowed. Keep playing until only one player remains. That player wins a prize, or can be in charge of the music and color calling for the next round. This game is a fun way to help the kids burn excess energy. 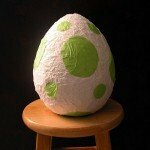 This DIY Yoshi pinata is perfect for a Mario themed birthday party. We all know how pinata's work so I won't go into it. 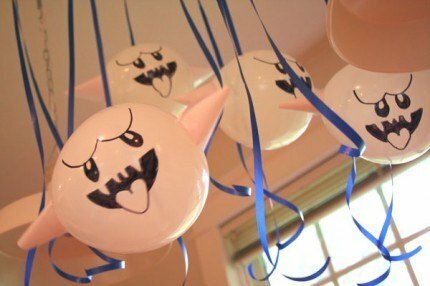 I'll just say Velda for LegendsofVelda.com can tell you exactly how to make this adorable Yoshi Pinata for your party - what you fill it with is up to you! This relay race is fun and hilarious. 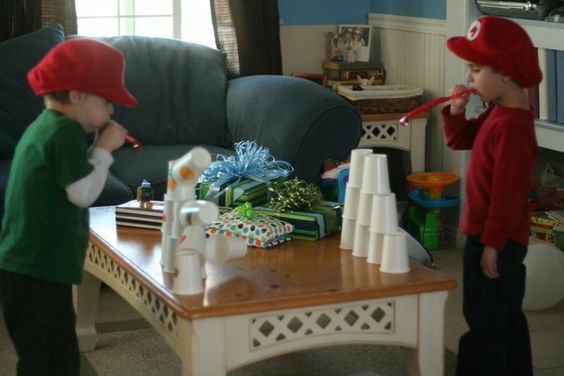 Players race to put on (over their clothes so they should be oversized) Mario overalls, Mario shirt (red t-shirt), Mario Hat (red cap with an M put on it), Mario Mustache (play stick on mustache), and then they grab the plunger and race to the finish line and back where they take off the Mario clothes and pass them to the next player on their team who puts it all on and runs the race. 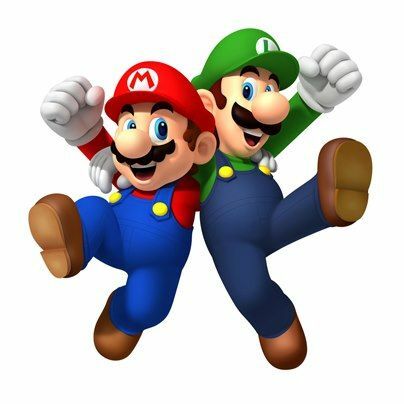 The other team does the same (you might want to have them race in Luigi outfit) - the first team who has all their players complete the race wins! Got this idea from CoolPartyBlog.com. 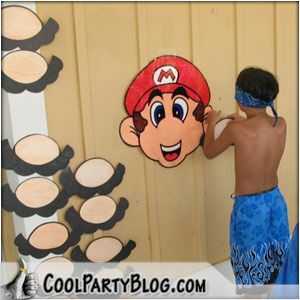 Paint a picture of a mustache free mario on a poster board and cut it out. Draw a mustache that fits on the image portionately and make copies so that each player gets a mustache. 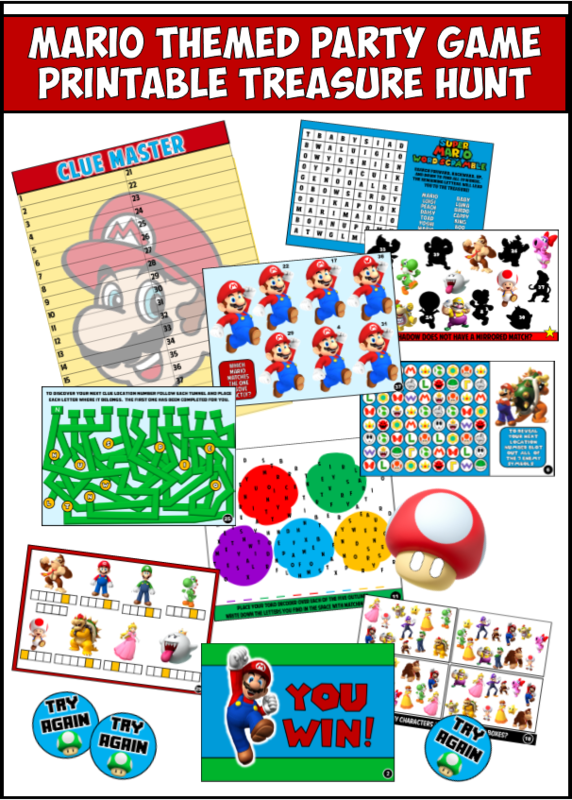 To play simply place some tape on the backside of the child's mustache printout, blindfold one player at a time, spin them around and face them toward Mario. The player that gets their mustache closest to perfect wins! Click on the image to check out the rest of her ideas for a Mario and Sonic party! Give each player one minute to see how many characters images they can match up with the character name. Player who matches the most wins a prize. Bowser has stolen the Birthday candy! The kids have to trap him in the magic hoop to get him to release it! Have an adult put on a Bowser mask (here's a great and cheap one from amazon on the right) and the kids have chase him trying to ring him with a hula hoop. Every time he gets caught in the hoop he must throw some of the candy out to escape. Kids keep hooping him until all of the candy is gone!